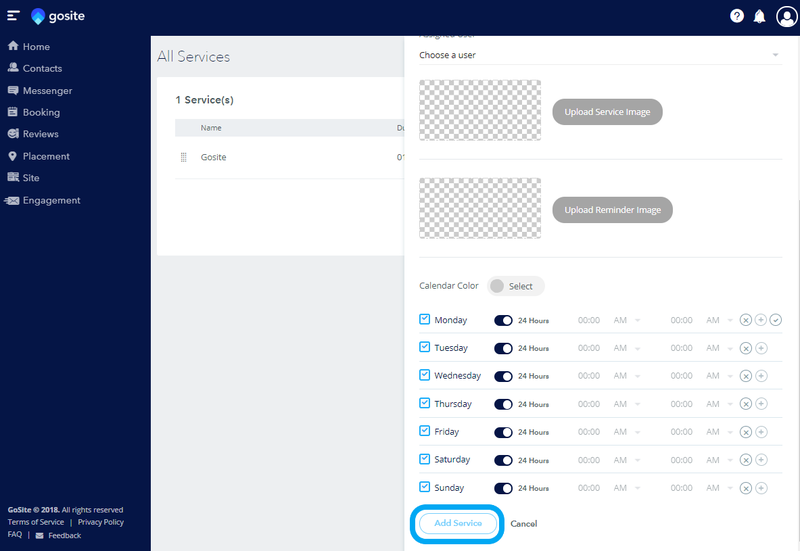 Learn how to display additional services under your “Booking” link. 1. When you first log into the dashboard, click on the icon in the top right. The icon will either be your logo or a generic icon of a person. 2. Once you select the icon, a drop-down menu with several options will appear. You will want to click on "Services." 3. 3. After you click on “Services,” you will be brought to a new page. Here, you will be able to add a service by clicking on the button on the top right of the page. 4. From here, you will be able to input all the necessary information about each service. You will need to fill out the required fields, each of which is marked by an asterisk. 5. Once you are done editing the service, you can finish creating it by clicking on the blue "Add Service" button on the bottom of the page.